Lets put the 'New Year , New me' drama aside everyone seems to make this promise to their selves to get more active and look after themselves and one of the most important ways you can self care for you is to work your body that little more day by day just to keep it moving, happy and healthy. This isn't about losing weight or shedding pounds it is about being the best you no matter your size and keeping that heart racing in easy fun ways. By far the most fun thing you can do is to dance be it jumping around the living room to your favourite tracks, going out and dancing the night away or joining a local dance class. Dancing is not only fun but good for your stress levels and a great easy way to get your blood pumping and heart racing. Every morning I have a dance around to wake me up and put me in a good mood for the day it really helps me shake off the negativity and feel way less worried about the day ahead. There are lots of body positive spaces now where you can go dance safely and happily with your friends or join the new dance craze and meet new friends at a dance class. If you haven't discovered Whitney yet you need to check out her video she is amazing. I love to walk especially living in the countryside it can be like going on a new adventure. I love tracking my steps with my Fitbit which encourages me to walk those extra few steps every day and you can set yourself goals to get those feet moving little by little every day. Walking the dog, strolling round the shops or cleaning the house the steps all add up and you may be way more active than you even realised. The recommended daily step count is 10000 a day which seems like loads straight away but if you build up to that goal you can be there in no time. Try some thing new with your friends for a fun day out Chill Factore in Manchester has lots of really fun indoor skiing and snowboarding activities. 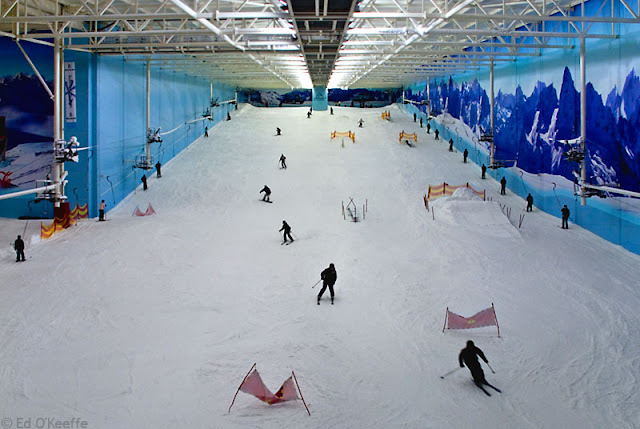 You can get lessons or just have fun with your mates and bring the alps to the big city and yes it is is a great excuse to go for a hot chocolate after just like if you were skiing in a cold mountain. Most of all try new things that you can have fun doing and yes sometimes they will be a challenge but that is half the fun! What are your easy tips for getting active?